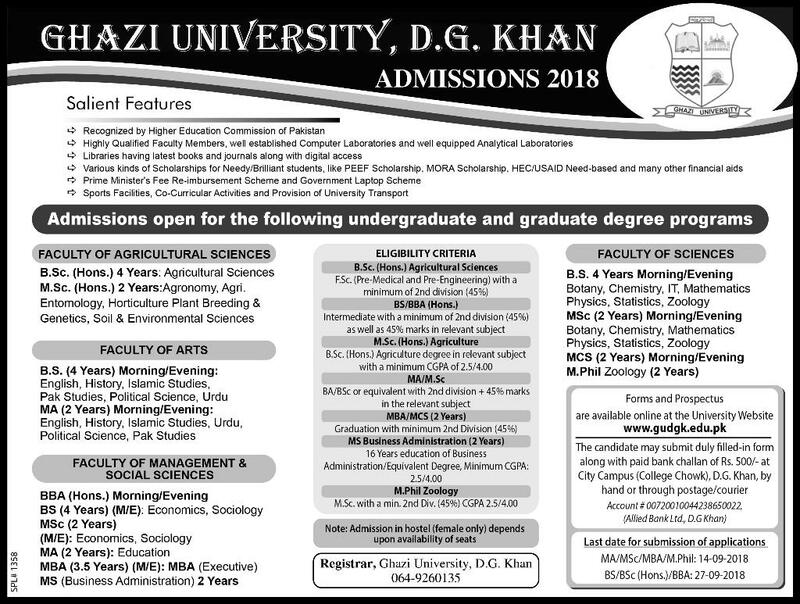 Ghazi University DG Khan admission 2019 last date for Undergraduate and Graduate degree programs. In the month of Last August admission announced by university for B.Sc. (Hons) both 2 years and 4 years under Faculty of Agricultural Sciences. Includes admission form for BS (4 Years) English, History, Islamic Studies, Pak Studies, Political Science and Urdu. For Master Degree programs allow admission in MA, M.Sc., MSC, MBA, MS, M.Sc. (Hons) Agriculture, M.Phil. Zoology and MCS. Student should be meet the eligibility criteria for all programs before complete and submit application form to University. After completion for held entry test for applicant’s to apply. Merit list result appear after checking there documents and create merit list for those selected students. Download admission for Undergraduate and Graduate degree programs. Search eligibility criteria related degree programs and fill to complete the before submission before the last date to apply. B.sc (Hons). Agricultural Sciences: Candidate should be done F.Sc. (Pre-Medical and Pre-Engineering) with a minimum of 2nd Division almost 45% Marks. BS/BBA (Hons. ): Applicant must have Intermediate with the minimum of 2nd Division with 45% Marks as well as marks in relevant subjects. M.Sc. (Hons.) Agriculture: Candidate must be done B.Sc. (Hons.) Agriculture degree in relevant subject with minimum CGPA OF 2.5/4.00. MA/M.Sc. : Student done BA/BSc or equivalent with 2nd Division + 45% marks in the relevant subjects. MBA/MCS (2 Years): Applicant must have Graduation with minimum 2nd Division (45%) is eligible to apply for admission before the last date. MS Business Administration (2 Years): For MS (Business Studies) must have 16 Years education of Business Administration/Equivalent degree with Minimum CGPA is 2.5/4.00. M.Phil Zoology: Candidate must have M.Sc. with minimum 2nd Division with 45% marks or CGPA 2.5/4.00. Note: Admission in hostel for Female to get seats which depends on availability. The applicants may submit duly filled in form along with paid bank challan of RS. 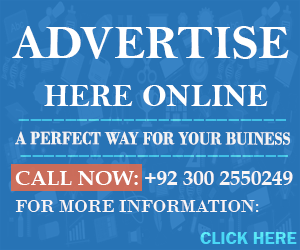 500/– at City Campus (College Chowk) D.G.Khan, by hand or through post or courier. Financial aid offered for need and brilliant students by University to continue their education degree. Get a right scholarship for the right degree according to your study plan. If you are eligible to get financial aid to learn education in the institution. Various scholarships allow for applicant HEC need based, PEEF by Government of Punjab. Also, affiliated with Prime Minister Fee Re a Scheme and Government Laptop Scheme.